Sorry about the deafening silence from this site last week. Much of it is my fault – actually, it’s all my fault. 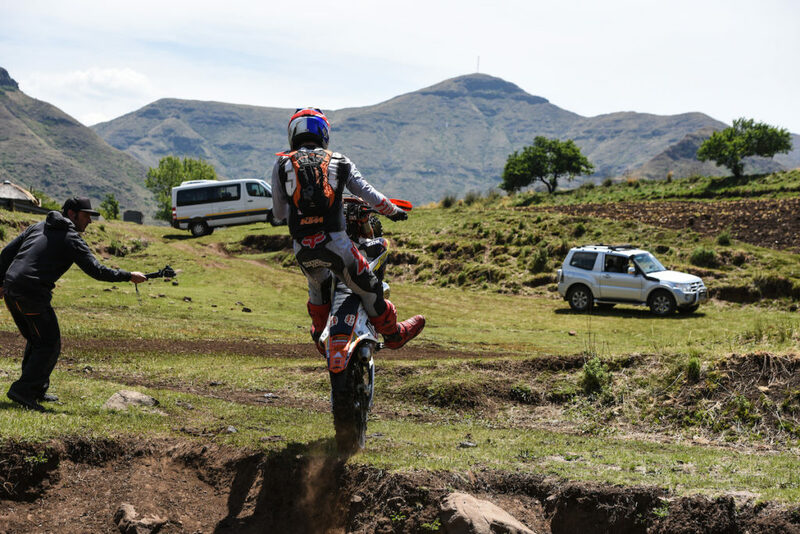 The good people of Motul invited us to Lesotho to be part of The Roof of Africa Hard Enduro – not to actually ride in it because that would be mental. And probably suicidal. In fact, I now view extreme enduro riders with the same lauding admiration as crocodile wrestlers, parachute-less skydivers and medium-sized deities. Wade Young won, making this his third victory at The Roof (in opposition my misguided reporting that he it was his second win) with Travis Teasdale in second. This is a big deal for South Africans because both those people are from here, and both were a huge margin ahead of such enduro demigods as Graham Jarvis from England, Alfredo Gomex and Mario Roman from Spain, and the father/son duo of Andreas and Manuel Lettenbichler from Germany. 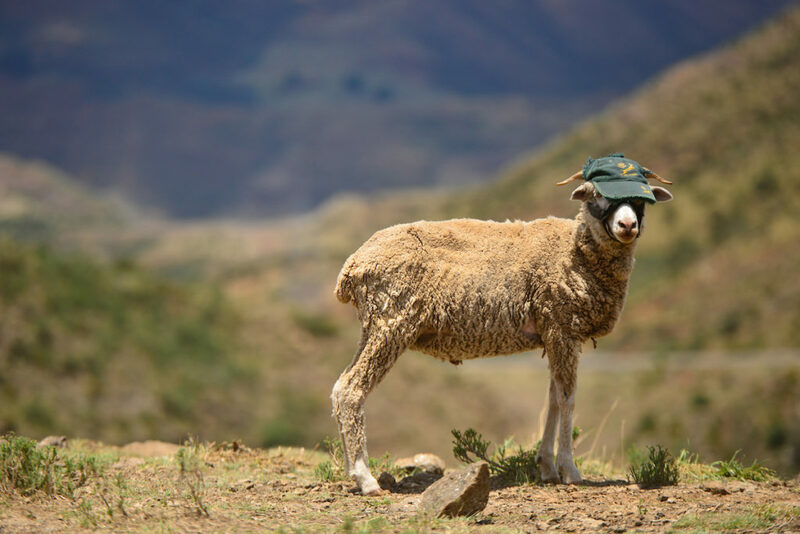 Lesotho livestock are somewhat patriotic to South Africa. 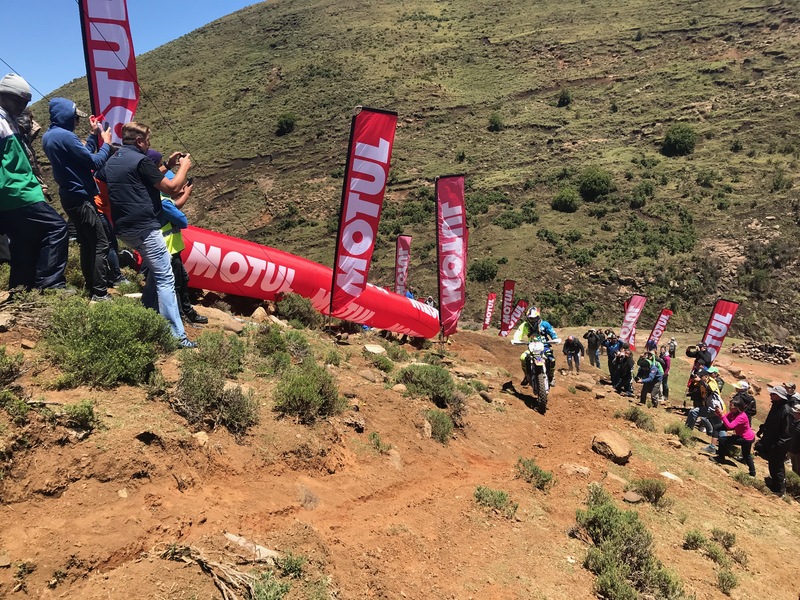 By mountain, I don’t mean hill, koppie nor slight uphill – I’m talking about a full-on chunk of Maluti Mountain, where the peaks ascend to nearly 3000m. And the top Roof riders blasted up there along a very slight change in the near vertical bush and rock that could be mistaken for a path. The only way I’d ever get a motorcycle up there is with the aid of various pieces of heavy machinery and a couple of weeks of spare time. And then the most amazing part about all this – apparently this was all easy. The Roof this year was hugely ciritcised for being not difficult enough. 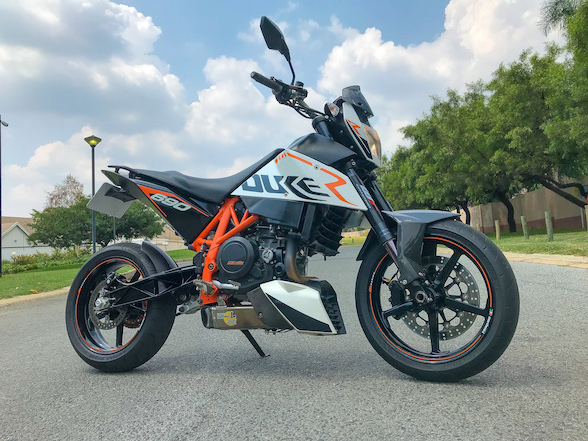 This was confirmed two days after the event when we stayed on in Lesotho for KTM’s launch of their new fuel injected two-stroke enduro bikes (see story coming shortly). They recruited the services of the Lettenbichlers who are two of the nicest people not just in enduro but in the world ever. When asked about this pass, they sort of shrugged as though it really wasn’t much of a biggie, while the assembled dinner table stared at them in disbelief. It took them roughly 15 minutes to scale that climb, which is exactly one week, six days, 23 hours and 45 minutes less than it would take me with serious help. There’s a pass during the Romaniacs Enduro that took them 45 minutes. I’d die of old age before I’d get up there with a bike. This all has nothing to do with the prolonged silence on this site, however. 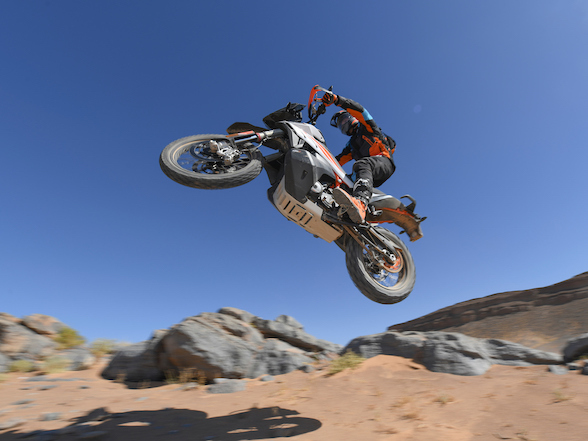 KTM were also good enough to lend us a 1090 Adventure R (watch the piece on The Bike Show TV or keep an eye on our YouTube channel over the next few weeks – the presenter (me) was rubbish but you must see some of the shots our esteemed camera crew got). 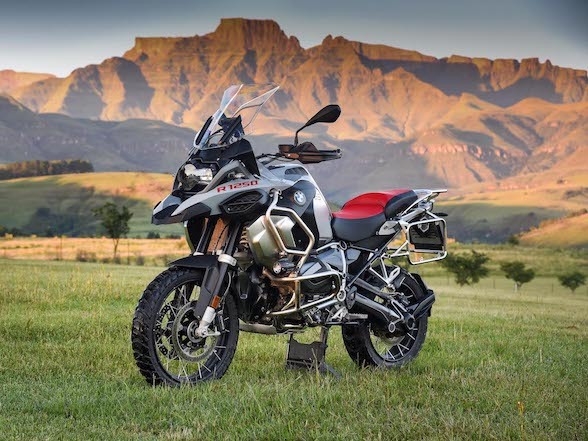 With the car full of camera crew and gear, I volunteered to ride it back to Joburg – what could be better? 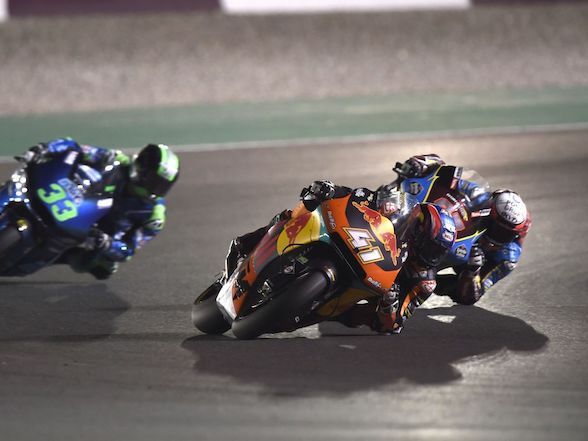 To help further with our logistics issue, Riaan Neveling of KTM took some of my bags, and diligently left for Joburg at four in the morning – roughly an hour before I went to bed. Unfortunately, he took the key for the 1090 with him. Well, I say he took the key with him, it was sort of, a little bit, kinda with my bags that I may have packed and loaded into his van. 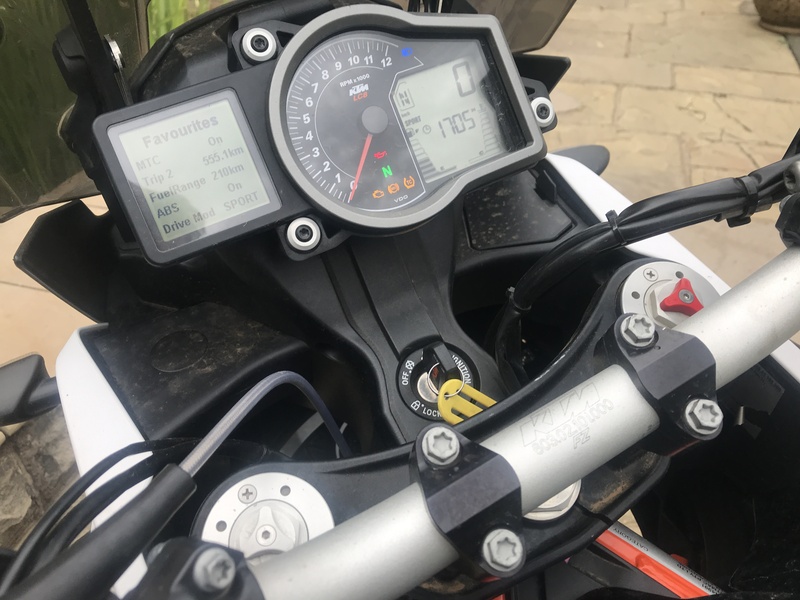 By the time I arouse from near-coma slumber and realised I was keyless, he was already behind his desk at work doing his bit to further KTM’s good name. Thankfully, being the good fella he is, he dismissed my idiocy with a chuckle and got underway couriering the spare key down to Maseru, while I twiddled my thumbs for two days. At least the belated return journey was good fun. Apologies again, good readers, but from this week forth ordinary service shall resume.